Find out what science fantasy adventures awaid you in the Starfinder Beginner Box from Paizo, Inc.
Naruto Boruto Card Game Interview With Designer Ryan Miller! APN had a chance to sit down with Ryan Miller, designer of the highly anticipated Naruto Boruto Card Game from Bandai! The Naruto Boruto Card Game should be landing at your FLGS this Summer! The Pathfinder Playtest ended November 18th and according to Paizo Inc., it was huge in terms of the number of players and incredibly useful to the designers! Jason Bulmahn updated players on the findings from the Playtest and thanked them heartily for their participation in a video missive from the Paizo Studio.. He talked about data, surprises, and even gave a few spoilers as to what the final version of Pathfinder Second Edition will be like. ﻿The Paizo team was very clear that Pathfinder Second Edition will not be identical to the Playtest. The Playtest made bold choices to test various options and players will absolutely experience the game differently when the Second Edition is released in August. While still being written, Pathfinder Second Edition will add storytelling flavor and polish, provide a better introduction for new players, include more useful GM tools, do away with magical Resonance, and refine the Proficiency system. All of this moves towards making a game that is easier to learn, faster to play at all levels, providing the depth of character customization that Paizo is lauded for, and giving GMs the tools to tell the stories they want to tell. Getting the rules just right allows players to focus more on the story at gaming table. Even though the Playtest is at an end, the Pathfinder Playtest books still create a fascinating and challenging adventure - especially for any party who might want to gain an deeper understanding of game design, compare their experience with the final version coming this year, and of course explore the vast World of Golarian. The chapters of the Doomsday Dawn adventure take place in many of the same locations as Pathfinder’s previous Adventure Paths, giving a sampling to new players and a sentimental journey to veterans. Let’s be honest, it’s just plain fun. 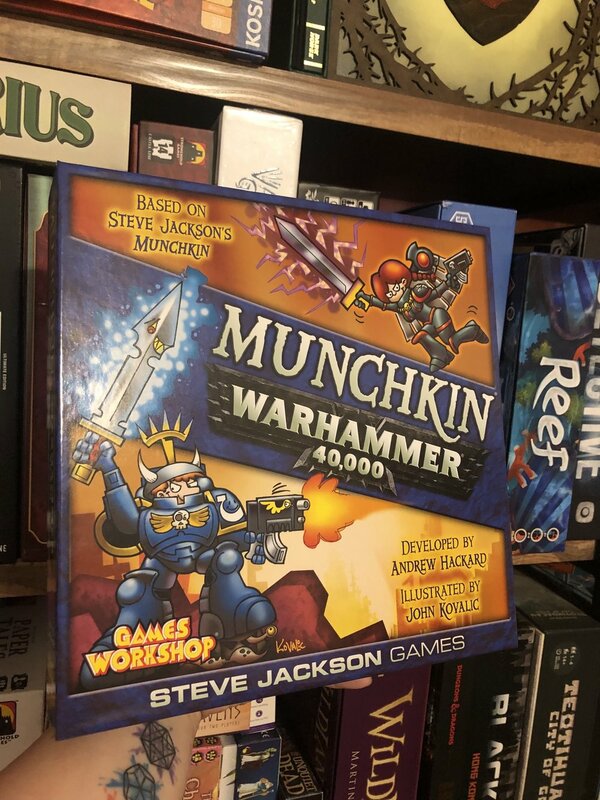 Reach out to your FLGS to see if they still have copies available! Paizo has plans to make the buying experience special for customers who plan to buy Pathfinder Second Edition at their favorite local gaming store which they plan to announce in March. Draft your way to the throne of Imperius in this title from Stronghold Games! Which faction would you favor? Which Uwe Rosenberg games are on your must play list? Add Reykholt from Renegade Game Studios!